What’s in a name? What are the differences between Early Neutral Evaluation and Evaluative Mediation? The name given to any dispute resolution process is important—for marketing by providers, clarity for users, and more effective referrals of clients to such processes. However worldwide, the same name is often used to describe different processes. What differences and overlaps exist between common usages of “Early Neutral Evaluation” (ENE) and “Evaluative Mediation” (EM)? 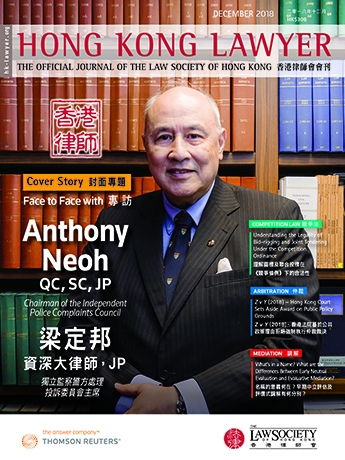 I have been asked by the Hong Kong Law Society to comment on any differences between processes sometimes known as “Early Neutral Evaluation” (ENE) and “Evaluative Mediation” (EM). This is a challenging exercise at least because English phrases have different meanings in different parts of the world (notably, “conciliation” and “mediation”); and there are many variations of process within both ENE and EM. For example, there are currently over 400 different schools or processes of “therapy” or “counselling”; over 20 different typologies of mediation process; and over 20 different “types” of “arbitration”. All of these numbers can be multiplied by adding variations to standard, or not-so-standard, process. Before I comment on EM and ENE particularly, there are important preliminaries to any categorisation commentary. Who Cares About a Name? Diagnostically, a client, lawyer, or referral agency should try to match the disputants with the “right” skilled helper. Mismatches are expensive and embarrassing. Almost all skilled helpers use a name to market and describe themselves—such as mediator, problem solver, evaluator, arbitrator, chairperson, negotiation coach, life coach etc. However, what each actually does may not match what the client is expecting. Thus it is essential for skilled helpers to demonstrate constantly what process they use “normally”, in order to market themselves effectively behind the confusion of labels. What each skilled helper “normally” does matters more than the name. This is also because most skilled helpers cannot easily change their normal and comfortable customs and habits. 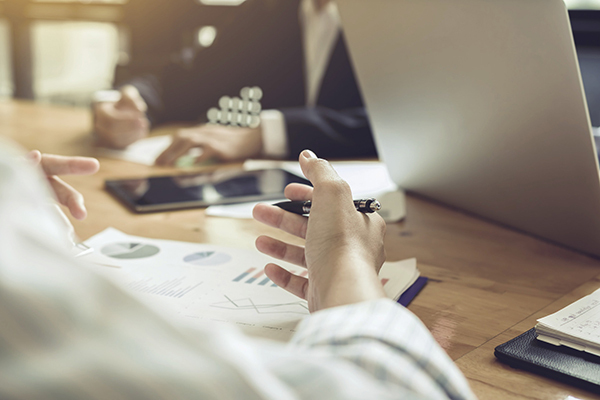 Therefore clients, lawyers and referral agencies should ask a lot of questions about the common practices of each skilled helper, regardless of their label. Most jurisdictions have laws which confer special rights and duties upon particular dispute resolution labels—for example, duties of confidentiality, or not; duties to accredit practitioners, or not; rights to enforce outcomes, or not. The laws falsely assume that the labels have common, clear and accepted meanings. Disputants, lawyers, referral agencies, skilled helpers, tribes, and governments all want dispute resolution processes which have a high rate of “successful” settlement. This sometimes leads to a frenzy of new dispute resolution processes which market themselves as “successful”---with little systematic evidence to support the marketing enthusiasm. Core skills, perhaps summarised by the acronym—LARSQ. These are the innate or learned skills of Listening, Acknowledging emotion, Reframing, Summarising, and Questioning. Many wannabe and process rich dispute resolution practitioners do not have LARSQ in their reflexive repetoires. Care and compassion. This is the real (or on exhausting days, acted out) concern about the well being of clients and their representatives. A strong desire that clients make wise life decisions in the face of uncertainty; or conversely, that they do not irreversibly mess up their lives and businesses and families. Integrity. This is a package of ethical attributes and habits including honesty, confidentiality, respect for others, courage in the face of intimidation, avoidance of any actual or apparent conflict of interest. The reader may have additional values and practices embraced by the word “integrity”. To repeat—success has at least four legs. Concentration on finding the right process leg, without including the other more demanding three personal attributes, is a recipe for failure. What is EM or “advisory” mediation? A working description is that EM is a process whereby disputants, with the assistance of a skilled supervisor, define topics, and create a range of options and solutions for each topic, and attempt to negotiate acceptable solutions, which may be prompted by ideas, challenges and advice from the skilled supervisor (sometimes known as an “evaluative mediator”). Process, such as “you should speak first—“; neither of you should interrupt---“; “we must define the issues before we search for solutions”; “it is time for a break”; “ I would like your accountant to attend---“ etc. This constant process advice clearly affects substantive outcomes. Additionally, by the form of questions used, give indirect advice –“How would that idea work?” “What if the machinery is not delivered?” “What are the standard clauses used in such settlements? etc. Mediation-recommendation.(Medrec). This is a classic problem solving mediation process with a mediator’s “recommendation” or “proposal” added at the end if the parties have not reached settlement by then. The recommendation add-on is either requested by the disputants, or required by legislation. It is hoped that the carefully worded recommendation may trigger a settlement immediately, or sometime in the future. Normally, the recommendation is not legally binding; and cannot be produced in court or to guide other authority figures. (In some countries, there are some legislative exceptions to this embargo). SIMSLILC mediation. This clumsy acronym is an attempt to describe some features of a type of mediation which is common in narrow legal cultures in different countries. It is also a repetitively criticised process, as it allegedly systemically undermines the other three key legs of “success” mentioned above? (core skills of LARSQ; perceived care for client; and integrity). The acronym describes---Single Issue Monetised Shuttling with Limited Intake and Lawyer Controlled. In this stereotypical process, lawyers do the talking, clients are silenced, the lawyers have defined the issues as “legal” topics (usually monetised topics), and the mediator shuttles from room to room attempting to create doubt in each team about their confidence in their preferred solution; and carrying offers from room to room. The mediator uses his/her “legal” experience to create doubt by statistics, stories, insider knowledge about the delay, expense and uncertainty of court operations and of the “law” in action. To repeat yet again, many mediations contain elements of all three of the above version of EM. Model purity is rare. So—How Might the Features of the Various forms of ENE vary from the Various forms of EM? Table 1 suggests common ( but not necessary) differences hidden under the labels of ENE and EM. Obviously, in particular disputes, the above common characteristics may wander between labels. There is an ongoing world-wide debate about dispute resolution labels and the various possible processes behind those labels. It is a challenge for lawyers, clients and referral agencies to discover the realities of process and key personal qualities behind the imprecise labels. How do you expand your knowledge of, and stable of competent dispute resolution providers? How do you match your clients with the “right” referral? Wayne Brazil, “Professionalism and Misguided Negotiation”, ch.78 in The Negotiator’s Fieldbook eds A.K. Schneider and C. Honeyman , 2006, ABA. Jerome Levy, “Fly on the Wall” Appendix A of Epilogue in J.S. Levy and R.C. Prather, Texas Practice Guide Alternative Dispute Resolution, 2005, p.1-1. J. H. Wade, “Systematic Risk Analysis for Negotiators and Litigators” (2001) 13 Bond Law Rev 462; also found at epublications@bond.edu.au with other articles on the subject of evaluative or advice-giving mediation.